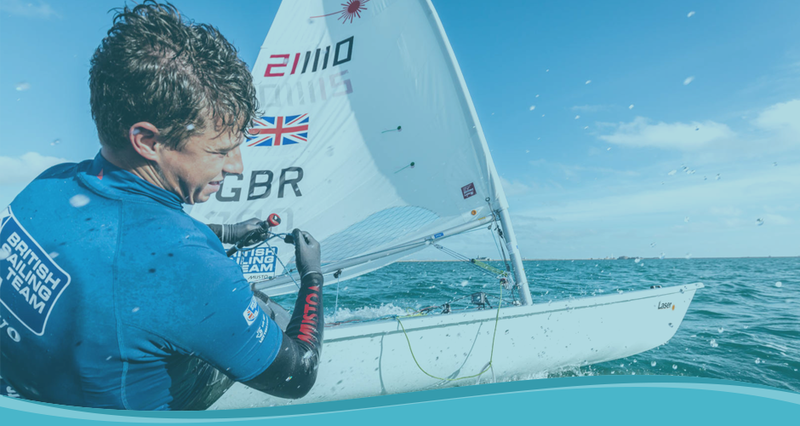 Since recently finishing university, Cookson has now only two of his three-point plan to accomplish, becoming Laser world champion and winning an Olympic medal, which here at Coast Water Sports we believe he will achieve, and then some. Q: What is/was your best event to date? I think my best event to date is probably finishing 4th at the laser under 21 world championships 2017. Q: What was your least successful event and why? Least successful was definitely the Aarhus world sailing championships in the summer of 2018. I had relatively high hopes and aspirations for the events as I was confident in my progression over the winter. I finished 68th, far from the top 30 target I set for myself. I believe that the biggest factor to me not performing was that I was in my final year of university and spent a lot of time at university where it may have been able to better spread my time between sailing and studying. Q: Do you ever suffer from sea sickness? Luckily not! However I do remember one particular ferry crossing from Portsmouth to Bilbao Spain where the waves were enormous and I did feel a bit strange over dinner! Q: What was going through your mind when you were first accepted on the British Sailing team? I was really proud of myself. I learnt to sail in Portugal and progressed through the ranks there, however as I wasn't Portuguese I could never get selected for the national team. Once I returned with my family to the UK and qualified for the British Sailing Team I felt like a lot of my hard work which went unrecognised over the years was finally paying off. I also knew that now being part of the team I'd be given a platform to become the best I could possibly be within the sport. Q: What is your most valuable piece of equipment for a race? Probably the sail itself. Laser sails in general have very short optimal life spans. Especially at this level of the sport, a new sail really is a vital piece of kit at any major event. Retailing at over £500 and requiring at least 4 a year, it can get expensive pretty quick! Q: Do you have a lucky mascot or ritual before a race? I have a lucky watch. I bought this watch in Portugal before I returned to the UK. It is a decathlon own brand watch with a 5 minute countdown on it and I bought it for €10 at the time. I love the watch and have used it every time I have been on the water from that day on. Q: What advice would you give to aspiring young sailors? Sail as much as you can and start going to the gym early in your career if you want to sail a physical boat in the future. I made this mistake and spent a good few years after joining the team trying to get as physically fit as my teammates meaning I definitely lost some valuable time there. Q: If you didn’t become a laser sailor, what other sport would you have chosen? I've always loved surfing and learnt at a very young age whilst in Portugal. Whenever I'm not sailing in Portugal I try to spend my time surfing. So in answer to the question, I'd have tried to become good at surfing. Q: Do you prefer sailing in portugal or England? I like both for different reasons. The quality of the training group and support provided is far superior in the UK so for that reason England is better. However, nothing quite beats sailing in 20 degrees in the middle of winter in the sunny Algarve. Q: Who do you look up to in the sailing community? I look up to those on the team with more experience than me and who are more successful. I also admire the achievements of laser sailor Tom Slingsby from Australia and his upwind technique in windy weather. Q: What’s your best tip to recover from a bad start in a big race? I am pretty good at getting bad starts so hopefully I can help here. The main thing I try to think about is “what is the next priority” so I think to myself “what shift am I on”, “what tack is the long tack” etc. This focuses my mind and means that I'm not locked into following a fleet I'm already behind. I am also relatively fast downwind so as long as I am in touching distance of the fleet around the top mark I'm confident that I can catch up downwind. Q: What boat would you sail if you had a choice and why? I'd sail a 49er I think. I used to sail the 29er when I lived in Portugal for a little bit. I really enjoyed the adrenaline of sailing downwind in 20+ knots. I do like sailing on my own but the idea of bombing around a racecourse with a mate is also quite appealing! Ask yourself what is the priority now? Be fast everywhere around the racecourse, but being quick downwind will allow you to make gains more consistently over the course of a regatta. This entry was posted in Whats been going on! on April 9, 2019 by Dave Stubbs.